Alert !! Not legal for sale or use in California. Orders placed with a California ship-to address will, unfortunately, be cancelled. Helping you keep your vehicle at a premium quality is of the utmost importance to us here at Brandsport. We like to offer you a variety of parts and accessories to help you keep your vehicle in pristine condition, inside and out. 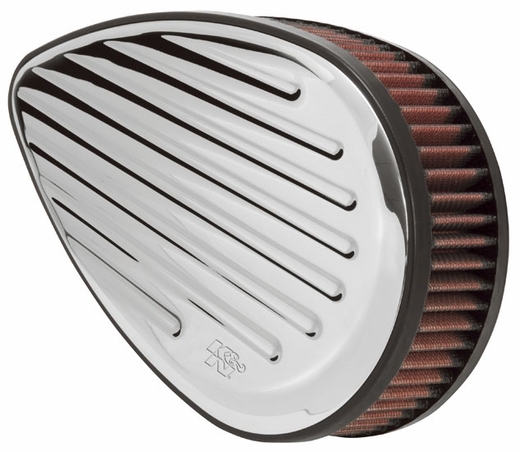 K&N Air Cleaner assemblies are designed to enhance your vehicle�s performance and style. Designed with the racer in mind, these custom air cleaners fit a wide variety of engines that use a round element air cleaner housing, including all touring models. 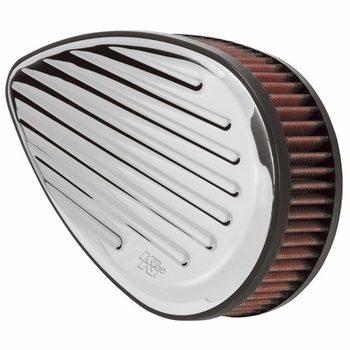 They are a remarkable combination of good looks as well as providing the superior air flow from K&N�s famous air filters. Each assembly is made from high quality billet aluminum and is luster polished, and then chrome plated to provide a show quality to your vehicle. Each kit comes complete and ready for install and includes the base, element and top plate, providing you with everything you need for a simple installation. The perfect assembly for your vehicle is sure to be found here at Brandsport with K&N�s Air Cleaner Assemblies.